The world's third largest economy just got another shot of emergency pain relief, but the radical surgery it needs risks being pushed back yet again. Japanese Prime Minister Shinzo Abe raised the stakes Tuesday by calling early parliamentary elections and delaying by 18 months a planned increase in the sales tax, scheduled for October 2015. He had little choice on tax, given Monday's disastrous data showing Japan had fallen back into recession in the third quarter after an initial hike trashed consumer spending this year. Abe has spent nearly two years trying to haul Japan out of its economic stagnation, through a combination of government spending and massive money printing by the central bank. He has also promised to overhaul laws to help more women join the workforce and make it easier to do business, and to stop adding to the government's debt mountain -- already the highest in the world. Little progress has been made on the former, and the tax hike delay shows how difficult it will be to achieve the latter. Flooding the economy with central bank cash has weakened the yen, boosting corporate profits and sending Japanese stocks to their highest level in years. But many Japanese don't feel any better off, domestic demand is weak and an aging population adds to the deflationary pressure. Analysts said the tax hike delay would provide a short term boost to Japanese growth, particularly in 2016, but won't solve the problem of low inflation. Abe may need more help from the Bank of Japan. "We still expect inflation to fall short of the 2% target over the next two years, so more monetary stimulus is still likely to be needed," wrote economists at Capital Economics. And here's the problem. The Bank of Japan is already deeply divided. Last month's decision to buy more government debt passed by the slimmest of majorities. Any hint that the government's commitment to get its yawning budget deficit under control is wavering could strengthen Bank of Japan opposition to yet more stimulus. 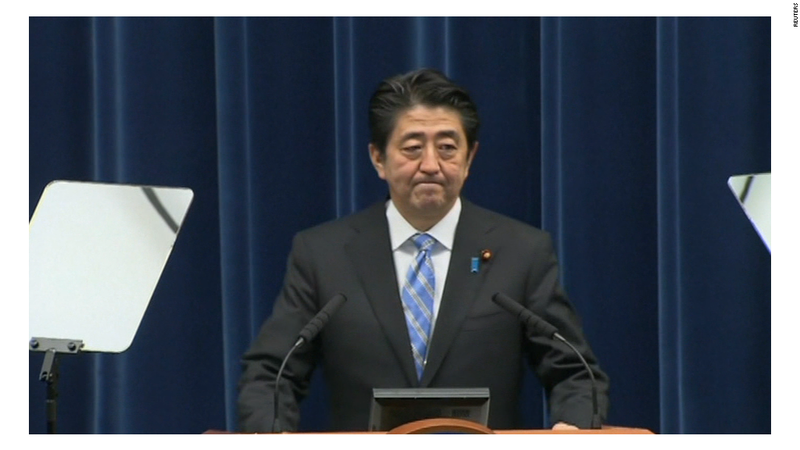 It's also unclear whether early elections will do anything to accelerate Abe's reform agenda. His government already controls both houses of parliament. Some analysts say the disruption to the parliamentary timetable carries risks. Economists at Japanese bank Nomura warned last week that reform bills could be shelved or dropped, a decision on cutting corporation tax could be postponed, and priority given next year to debating the budget and ways to stimulate the economy in the near term.